Home Emergencies $360,000 raised for East Africa Food Crisis Appeal! The food crisis in East Africa has been out of the news for most of the last year. Thankfully though, the people are not forgotten. The work of recovery for them continues. It seems like a long time ago that we reached out to you with our East Africa Food Crisis Appeal. It was early in 2017 that we first launched an appeal to help the millions of people suffering in Kenya, South Sudan and Ethiopia. Since that time, East Africa has been facing a famine brought on by drought and conflict which has affected up to 20 million people. That is close to the whole population of Australia. It’s devastating and a difficult figure to comprehend. In August last year, the Archbishop of Melbourne and our President, the Most Reverend Dr Philip Freier, sent a letter to many Anglican churches around Australia stating our aim of raising $300,000 for our East Africa Food Crisis Appeal. The monies raised were to be directed toward the work of our partner in South Sudan, Christian Aid. The goal was ambitious, but necessary. We can now report, with enormous gratitude, that the $300,000 has been raised and more! You, our supporters, have once again risen to the challenge of responding to the needs of the world’s poorest people and we thank you sincerely for your generosity. When Archbishop Philip wrote to churches, it was estimated that nearly five million people in South Sudan urgently needed food. It turned out much higher than that, and every dollar we have raised has helped people who might have otherwise suffered much more, or not made it through the most difficult period. As with any crisis situation in developing countries, particularly when people are displaced, women and children are the most vulnerable. That is why most of the aid being directed to affected areas is being used to help children in their education and to keep them and women safe from physical and sexual abuse. Our partner on the ground, Christian Aid, is one of a number of agencies working in the region. Specifically, they are working in the local States of Unity and Northern Bahr el Gazal. 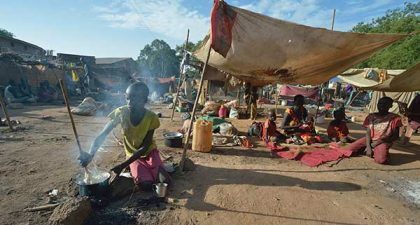 The latest reports say that, unfortunately, the situation in South Sudan is worsening. The deterioration has been due to insecurity driven by violent armed clashes that have resulted in mass displacement of civilians, killing, looting, destruction of property and gross violations of human rights. 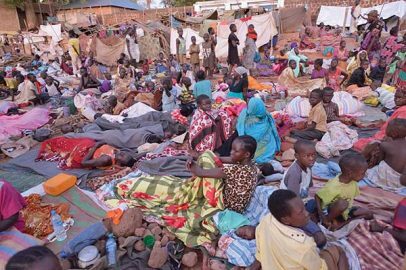 About 4 million people have fled their homes, both inside South Sudan and across its borders to neighbouring countries. To make matters worse, the conflict means that humanitarian access is hindered and planned interventions have been disrupted. The latest figures from the United Nations Office for the Coordination of Humanitarian Affairs estimate that 7 million people in the country are in need of humanitarian assistance. As a result, it is estimated that 48 percent of the population do not have reliable access to food, with approximately 1.1 million children under the age of 5 estimated to be acutely malnourished and in need of life-saving services. Our latest ACT Alliance report estimates that more than half of the population will be at risk of starvation as lack of access to food continues. Malnutrition in children will continue to increase, and outbreaks of diseases such as diarrhoea from lack of clean water for infant feeding will also continue to rise. The conflict and how it affects the people in South Sudan can be hard to comprehend for us in a peaceful country like Australia. However, it would be a lot worse if not for the amazing generosity of our supporters. In this difficult situation, we remain grateful for the faithful support of AOA donors. Although our initial target was reached, the East Africa Food Crisis Appeal is still open. If you would like to donate, please head to our website or call us to contribute – there is still more work to do!